Over two years later, I can confidently say that Mysore has transformed my body, mind, and spirit - no joke, no exaggeration. Now, if you asked me, I’d say I am still learning the poses, even the very first sun salutation! I rediscover my body, mind, and spirit every day. I can do things I never thought this middle-aged body could do and still I have so much more to learn. For me, the biggest difference - as compared to how I practiced before with led classes - is that Mysore is MY practice. The approach allows me to truly own my practice and this means it has deepened me in every way. I can take it wherever I go - hotel gyms, visiting family, outside, inside. I am constantly surprised by doing things I never thought I could - like standing on my head for extended time. And along the way I have never been injured or scared off because I get so much support from the amazing, wise teachers who have committed to this journey, too. I’m deeply grateful to Kacey and Laura for their loving kindness, support and HUMOR in my first two years. I look forward to living the rest of my life with the practice. If you want to explore the universe that is you, step on your mat with the Mysore approach at Yoga Shala. When my yoga teacher, Laura Josephy asked me if I’d be interested in drawing every pose in the Ashtanga Yoga Primary Series for her teacher training manual, I jumped at the opportunity. I love drawing the human figure. The challenge of making 75 studies felt like an extension of my own yoga practice and an opportunity to deepen my understanding of anatomy. What I hadn’t anticipated was the profound nature of the journey, both artistically and personally. I’m learning so much from the repetition and discipline required to work with this much consistency. The fine nature of the drawing style requires a level of concentration and absorption I haven’t experienced since I was an art student. I have a yoga anatomy book under my easel, along with David Swenson’s seminal Practice Manual for reference. Uniting other disciplines with art is not a new venture for me. I graduated from the University of the West of England in 1997, with a degree in Art and Visual Culture. The program was an experimental blend of studio art, philosophy, theology, politics and history. It suited me because I love ideas as much as I love making art. To me, they are inextricably linked. I’ve always had a very broad range of academic interests, and am not and expert at anything - I just have a childlike curiosity about things and find connections intriguing. I first came to Ashtanga around 12 years ago, not long after I moved to Tahoe from Wales. My husband and I had met whilst bouldering our way around Canada and the US. I didn't have my work visa yet, so I took a few classes at Lake Tahoe Community College for something to do and to connect with like-minded people. I took oil painting and figure drawing with Phyllis Shafer and Ashtanga with Amrito Cross. I was too committed to climbing to maintain a regular practice though, and soon ended my daily practice after the quarter was finished. Shelley’s Drawings will be available to view and purchase at our Art of Ashtanga event on November 11 at 6pm. 1). Tell us about the first yoga class you took? I lived in San Francisco two blocks from the Guru Ram Das Ashram which is housed in a beautiful victorian. The Ashram was founded by a co-op community of students and teachers and is now known as the Kundalini Yoga Center. I remember walking into the building and being seduced by the smell of food cooking. I signed up for a beginner series and learned that they had a community meal each evening after class. At the time, I was living a stressful corporate lifestyle and was craving balance and interactions with mindful people. I went to class at the Ashram 2 nights per week until I moved from SF. 2). What do you remember of the first yoga class you taught? Last January, I started managing the Shala which gave me the opportunity to be more involved with the yoga community that I love. In June, I got very lucky and was accepted into Tim Miller’s Ashtanga Yoga Primary Series Teacher Training in Encinitas. Because this door opened, I am currently apprenticing/assisting one day per week during Mysore class. I have become surprisingly unattached to the outcome. I love yoga and want to learn as much as possible. Thank you fellow Mysore students for allowing me to learn by pushing on you. ;-) I will also take the Tahoe Yoga Shala 200-hr teacher training which begins in April. 3). Who/what are your teachers? Why? Laura and Kacey, because they are amazing and I love them. They offer a safe space to practice and grow. The Shala Mysore program is growing and thriving. It’s the shared commitment and the love and support from teachers and fellow students that motivate me to practice every day. I’ve also been able to spend time with the wonderful teachers at Ashtanga Yoga Center in Encinitas. It was eye opening to study at Tim’s studio with people who have been practicing and teaching for so many years. It’s not uncommon to see practitioners side by side doing 3rd series or others working on 4th. The community is inviting, happy to share space and teach no matter which series you are practicing. The energy at AYC is magical and inspiring, but there is so much to learn. 4). In what ways has yoga supported or impacted your life? Yoga has been a part of my life for a long time, but did not become a lifestyle and spiritual path until recently. Practicing daily has had a huge impact on my body and mind. It has opened my heart, helped me gain physical and mental strength and has reduced anxiety. It’s meditation, spiritual movement, truth, love, and a path to peace. But it’s rarely that simple, because the practice meets me right where I am on any given day. It can be challenging to keep my mind calm when faced with fear, doubt or impatience. Yoga has become a comforting ritual and for me and is ultimately an act of devotion, trust and faith. When I become unmotivated, I remind myself that dedication is a choice. 5). What does your current yoga practice include? Why? I practice Ashtanga Mysore Style 6 days per week. Mixed in with my Asana practice is pranayama, meditation, chanting and Sanskrit. Like many things in life, it started out of necessity. I was struggling with anxiety caused by a heart condition. I was told by my doctor to stop exercising and not elevate my heart rate, but yoga was ok. Obviously, that doctor had never done Ashtanga because it’s really not that easy. One of my earliest observations was that Ashtanga is a breathing practice and that focusing on breath during Asana would calm my mind and help reduce the anxiety. This was much easier to accomplish in the Mysore room with a self-led practice. Now that my heart is fixed and my anxiety is mostly gone, I still practice daily. 6). What currently inspires you? My dog Lizzi who has been fighting cancer, but continues to love and make the most out of life despite what she goes through. 7). What is your favorite season? Why? I love Spring. Mostly because there are baby birds, but also because it’s such a beautiful season in Tahoe. 8). What secret helps you to maintain balance and stay healthy? Taking time for myself. This has been a learning process, but it’s one of the most important things that I do to keep myself balanced and sane. 9). A fun fact most people don’t know about you? I love wildlife and have been known to do dumb things to observe them more closely. I wouldn’t say that these encounters were fun, but they were definitely exciting. I’ve been bluff charged by a Bull Moose in Canada, a Bull Elk in Yellowstone and a Male Lion in South Africa. I was trying to take photos and got too close. 10). What do you want to share with the Shala community? I’m so grateful to be a part of the Tahoe Yoga Shala community. I’ve recently had the opportunity to take a class from each of the teachers at the Shala. What a great experience, they are all wonderful. We are so lucky to have such an experienced team of diverse teachers, each offering their own unique style. It was hard for me to step out of my Mysore comfort zone, but I’m glad I did. Try a different teacher or style of yoga, you might be amazed. Warning: Practicing Mysore style Ashtanga Yoga might be addicting; it will get you grounded, healthy, strong and flexible. Mysore Style is the traditional way of learning Ashtanga Yoga. Named after the city in India where it originated, Mysore, is the source of this lineage based yoga method. To practice Mysore Style is, for most, a different experience than what people think of when they go to a yoga class. The poses are taught individually in a group setting. The teacher is not leading everyone through the sequence at the same time. Instead, you will receive one-on-one instruction from the teacher. When you first walk into the Mysore room it may seem chaotic as everyone is doing something different. However Ashtanga is a set sequence of poses that you learn one-by-one, allowing you to commit the sequence to memory over time. Everyone begins the same way, first learning the sun salutations and then the standing poses, and so on. Repetition is used to help you develop a deeper understanding of the sequence each day and gradually you begin to feel at home in the movement-breath patterns. Then, through a dedicated practice, whether one or several days a week, you learn the entire Ashtanga Primary Series poses one by one. By moving slowly through the series you gain strength, endurance, and a sense of empowerment. Since this is individual instruction, the teachers can offer you modifications and personal feedback. The Ashtanga practice is all about the breath, learning how to move the body with the breath to take the shapes of the sequence, it is not about perfection of poses and achievement. The practice is all about keeping the energy moving. Yoga seeks to transform us, to build awareness of ourselves by connecting mind and body together. Ashtanga emphasizes the breath as the connection for self-awareness and over time the practice reveals the many layers and aspects of ourselves. The purpose of yoga is to bring peace and balance to our lives. Ashtanga is a sequence of poses designed to detoxify the body, the practice builds strength, stability, stamina, flexibility, and restores range of motion to the joints. It purifies the nervous system and, when done consistently, it helps you to feel balanced and grounded. Anyone of any age can learn Ashtanga. The 4-Week Intro to Mysore Series I am offering in October is an excellent way to learn more about this practice and integrate this style of yoga into your life. 1) Tell us about the first yoga class you took. I had taken a class or two at the gym a few times but I started practicing regularly in 2005. My first class was a really advanced ashtanga class that was way over my head, but I didn’t let that scare me away. I was immediately drawn to the calming and grounding nature of yoga and loved the community environment as opposed to a gym. 2) What do you remember of the first yoga class you taught? My teacher training program was actually an apprenticeship program that was ongoing for several years and so I don’t recall the “first class” I ever taught. My apprenticeship consisted of assisting with my teacher on a weekly basis and after about 9 months I began to sub classes, and then earned my own weekly class. What I remember most is supporting and being a part of our community on a daily basis and getting to know each student and their needs. 3) Who/what are your teachers? Why? My teacher is Zoe Mai, from Trishula Yoga in Collingswood, NJ. Trishula is a unique yoga school that offers traditional Ashtanga Mysore practice, yoga philosophy, Sanskrit and meditation practices. I feel blessed to have the exposure to many aspects of yoga and a teacher who is established in these practices. I never imagined myself to be a teacher, yet Zoe saw something in me and for her faith, I am forever grateful. 4) In what ways has yoga supported or impacted your life? Yoga has completely transformed my life. I worked in the fashion industry and began practicing yoga as a way to balance out the stress from my hectic work life. Ultimately it’s because of the yoga that I transformed my goals and aspirations and ended up living in Tahoe! The practice of yoga brings awareness to your thoughts and behaviors and brings you closer to, or brings you back to who you really are. When I started to pay attention to my fast paced, stressed out lifestyle I started to change my career goals and eventually gave it all up to pursue a simpler, more active life in a community of like-minded people. Yoga supports everything that I do, it keeps me happy and healthy as well as strong and flexible to pursue all of the outdoor adventures Tahoe has to offer. 5) What does your current yoga practice include? Why? I practice Ashtanga Mysore style 5-6 days a week. I’m currently working on the third series – called sthira bhaga, often translated as strength and grace. Sthira means strength and the practice cultivates strength not only in the body but also the in the mind. It’s a challenging practice but it’s not about the poses. Every day is different and the practice is about keeping the energy moving so at least one or two days a week I practice the primary series. 6) What currently inspires you? The students who tell me how yoga has changed their life inspire me. I often hear that the practice has given them clarity, or has helped to heal years of pain in the body. For some it helps to calm their minds and make them feel grounded. For others, it makes them strong and feeling good about themselves. I’m honored and humbled to be part of the process. 7) What secret helps you to maintain balance and stay healthy? My daily yoga practice keeps me healthy! Also, a short meditation at the end of my asana practice keeps me balanced and feeling grounded. 8) A fun fact most people don’t know about you? I’ve walked over hot coals, twice! I participated in a couple of empowerment seminars that included a fire walk. I got burned pretty badly the second time and remember telling people at work that I cut my foot while walking barefoot outside for fear that people would think I was crazy walking over hot coals! 9) What do you want to share with the Shala community? I’d like to share that my teaching comes from a place of love. Love for each student in the moment, as you are, without expectation or judgment. I often hear that students are intimidated to try the Ashtanga Mysore method, because they ‘don’t want to think’ and rather be ‘told what to do’, the idea of having to memorize a set sequence seems like ‘too much work’. I’d like to share that there is empowerment in moving, breathing and learning the sequence on your own. Ashtanga also tells you exactly what to do, when to inhale and exhale and what comes next. You just need to memorize a little bit each time. And you’re not alone, we as the teachers work with you individually and help you to learn every step of the way. Every student has begun the same way, with learning the sun salutations and slowly adding on poses once they commit to showing up. Whether it’s once a week or more, the only way to progress is to actually show up and do the work. When you look at other students flowing, what appears to be ‘effortlessly’, through the vinyasas, what you don’t see is that they show up day after day, after month, after year and have committed to the practice. They’ve struggled and persevered and keep showing up despite the challenges. This is a challenging practice however we modify and make it approachable for every age, and every body type. The Ashtanga method is a system for healing and transforming the body and the mind. The asana practice is a tool to quiet the mind and the stories that we tell ourselves. However it only works if you are willing to take that first step! Come try the Mysore method, there are no expectations, only love and support. Thanks be to the Yoga Workshop their guidance with this content. Mysore Style practice is the heart of the Ashtanga Yoga lineage. The room is quiet and people are in all sorts of different shapes. The teacher is moving from student to student offering individualized instruction and assistance. The sound of the breath, the serious expression on people’s faces, the abundance of sweat, and the fact that everyone (except you) seems to know exactly what they are doing can provoke the urge to hightail it right back out the door. 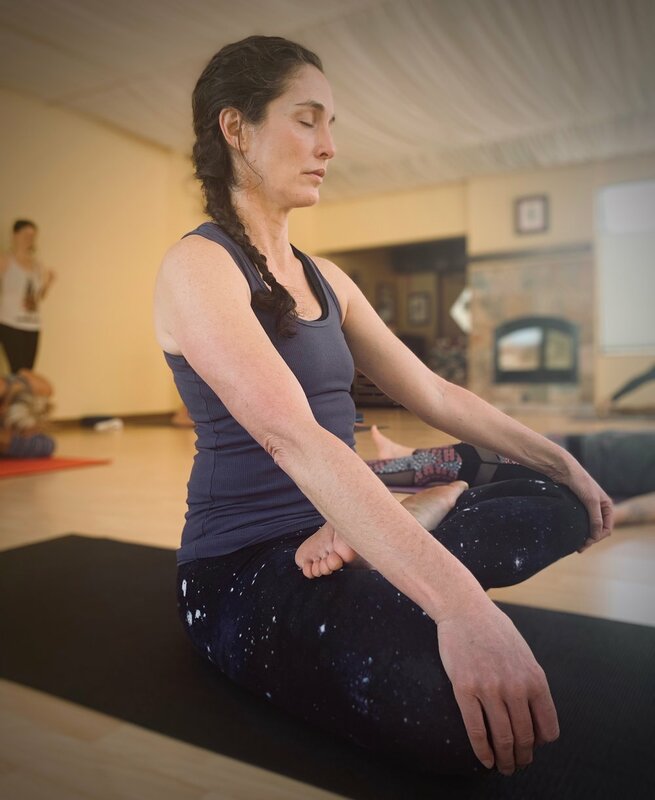 Whether you are in South Lake Tahoe or any number of cities around the world; a Mysore Style class definitely leaves a first impression. You need not be a yoga teacher or an advanced practitioner; once you understand what is going on and commit to the practice, you may discover that Mysore Style is an amazing forum for cultivating a transformative yoga practice. 1). a city in Southern India, Karnataka State. 2). a format of an Ashtanga Yoga class. This style of class is modeled after the Ashtanga Yoga classes in Mysore, India taught by the late Sri K. Pattabhi Jois. A Mysore class provides an opportunity for students to develop a “self practice,” which is an integral part of the Ashtanga Yoga method. Students work independently on the particular series of postures that is most appropriate for them. The teacher assists, adjusts and may quietly discuss particular difficulties or concerns with individual students during class. What is the structure of the class? Students need not practice for 2 full hours and can come and go anytime during the 2 hour window as is appropriate due to schedule, energy level and experience. About ten minutes into the official start time of the class, the teacher leads the students through the opening chant. Sometime students come a bit early and begin warming up with sun salutations. However when the teacher announces the opening chant, they come back to stand at the top of the mat in samastithih and chant with the group. If a student finishes their practice early, they take rest for at least 5 minutes in savasana, or final relaxation pose, before quietly leaving. Some students may also arrive later in which case they enter quietly and set up their practice space. If there’s no teacher leading the postures, how do people know what to practice? The Ashtanga Yoga method is based on a number of specific series of postures which are learned over the course of time and are practiced on a regular basis. Beginning with the “primary series,” students gradually, one pose at a time, work through and memorize the sequence of postures. After becoming proficient in one series, the next series is slowly introduced into the practice a few postures at a time. In this way, yoga becomes an individual practice through which breath, feelings, thoughts and sensations may be observed. What if I forget what comes next in the series? You can think of the Mysore teacher as a human cheat sheet (we have actual cheat sheets too). Students learn a little of the series at a time and use repetition to commit various sequence to memory. The basic pattern is the same for all of the Ashtanga Series. The practice always begins with 3-5 of both sun salutations, Surya Namaskara A and B. This is followed by the same sequence of standing postures. Next the postures that are contained within a particular series are practiced. This is followed, no matter what series has been practiced, by backbends and finishing postures. A minimum of a 5 minute rest in final relaxation pose concludes the practice. When you first go into a Mysore class it can seem confusing; like people are just doing their own thing or are doing random postures. But once you understand the basic structure of the series, it starts to make sense. Never hesitate to call a teacher over. That’s what the teacher is there for. Teachers scan the room to see who needs help, so usually if you just stop in your practice and wait, the teacher will notice and come over when she has finished helping another student. It is not advised to walk over to the teacher to get their attention—but they’ll see you if you signal them. Why are there series? Why not just do what feels good day to day? Different series are designed to address different and particular aspects of an integrated yoga practice. The primary series, for example, is grounding; the intermediate series is said to cleanse the nervous system. Following the prescribed sequence serves several functions. First, the series are designed to prepare the body for the postures that follow. Becoming grounded through the primary series makes the practitioner ready to begin opening into deep backbends (which are in the intermediate series) without becoming mentally scattered, emotionally imbalanced, or ego driven—which can happen if back bending is practiced without proper grounding. Also, following a series insures that the less appealing postures are part of the repertoire. It’s always a temptation to skip postures we don’t like and often these postures are the very ones that will benefit us the most. Finally, by doing the same sequences repeatedly and by practicing on a regular basis—ideally 6 days a week—a rhythmic and meditative form automatically arises. This process allows the students to practice deeply; to move beyond the external form of the practice into the patterns of thought and emotional that shape the body from the inside. As we give space to the inner recesses of our bodies, we slowly release ourselves from subconscious patterns of conditioning. This is the practice of Yoga. When there isn’t a teacher guiding a led class, the responsibility falls squarely on the practitioner to practice with authenticity and intelligence. This form of introspective practice allows the student to observe the feelings, thoughts and sensations that arise during the practice and to gradually stop grasping at the pleasant experiences while rejecting the unpleasant ones. It allows the student to cultivate a visceral understanding of change and impermanence and a meditative state automatically arises. If I’ve never been to a Mysore class before, is it OK to just show up? Yes! That’s actually a great way to begin the practice. It’s helpful if you have some idea about what Ashtanga Yoga is, but even if you’re not sure you’re up to speed, beginners are always welcome. Some students find it helpful to attend guided classes at the studio to get a sense of the Ashtanga system before checking out Mysore. We offer Intro to Mysore Series on a quarterly basis but this is not a pre-requisite if you want to dive directly into a Mysore class. All sorts of people from beginners to long-time practitioners. The Ashtanga method is perfect for young, athletically oriented people. At the same time this practice is something that can benefit you when you at any age and at any phase of health. You’ll find that any given class has a wide range of age, experience, flexibility and strength in attendance. It can appear when you first walk into class that everyone is advanced, because people seem to know what they’re doing and because they are practicing on their own, but many beginning students practice Mysore Style. How do I know it’s time to move on to a new posture or start a new series? Students work with the teachers individually to determine when it is appropriate from them to move on, modify or experiment with new postures. Students are encouraged to practice within their capability of focus, strength and flexibility. We do not encourage students to breeze through a series or skip postures ‘they cannot do’ or don’t like. Our Mysore teachers meet on a regular basis in order to offer a coordinated approach for students. We try to keep abreast of each student’s needs so that we can help the students from our own experience. The decision to move a student onto the next pose is not purely based on physical ability. The student's overall mental, emotional, energetic and physical gestalt is considered. Mysore Style practice is a process that requires time, consistency, patience, curiosity, introspection and dedication. It may take a year or more to learn the full primary series. Ultimately the practice is not about the postures themselves but the internal process they reveal. The mat the microcosm, is the laboratory where we run experiments and gather data about how we are predisposed to think, speak and act when presented with various circumstances. This data is then applied to the macrocosm of daily lifestyle practices and choices. One central aspect of the Ashtanga system is the ujjayi pranayama — breathing with sound. A sound that is made by breathing through the nose but from the throat. A gentle contraction in the throat creates an audible whisper. Sometimes people get overly enthusiastic and may begin to breathe with too much force, but generally it is a smooth, even and non-aggressive sounding breath. The breath is intended to be a means of focusing the mind and inviting the practitioner enter a state of meditation. As a general rule, inhaling is associated with expansive, opening, spreading, lifting types of movements. Exhaling is associated with contracting, dropping, grounding and curling types of movements. Bandhas are internal seals that contain body and lend it strength and grace. 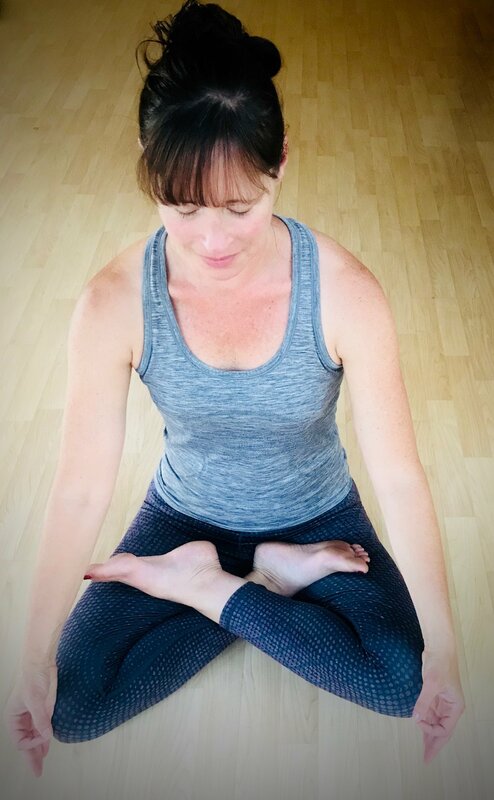 The three principle bandhas used throughout the posture practice are mula bandha, the pelvic floor lock, uddiyana bandha, the abdominal lock, andjalandhara bandha, the neck lock. Bandhas stabilize potentially vulnerable areas of the body while imbuing the postures themselves with buoyancy and ease. With breath there is bandha. In general, the exhale is correlated with mula bandha and the inhale is correlated with uddiyana bandha. Each pose has a preferred dristi or gazing point. The gaze is another mindfulness training tool that encourages the student to attune to the sensations of their own body-mind. The gaze is soft and focused, never gripping nor darting. The most common gazing point is the nose, though some postures may have a gaze at the fingertips, the eyebrows, the hand or the navel. I feel like when I practice by myself I get stuck and I think too much. Should I just go to a guided class instead? When first beginning a self-practice it can be difficult to stay focused. That’s one of the benefits of memorizing the sequence slowly over time; by knowing what posture comes next and by simply keeping moving, the mind doesn’t have as much of an opportunity to wander. By keeping the gaze steady, the movement coordinated with the breathing, and by coming back again and again to the sound of the breath the mind gradually begins to release and relax and drop in. Cultivating a meditative form of practice takes time and patience, but it is well worth it and cannot ever happen in a guided class to the depth that it can when doing self-practice.